I don’t usually pay much attention to stories about the circumstances in which a particular record came to be. However, the stories about the timing of this record are an exception. 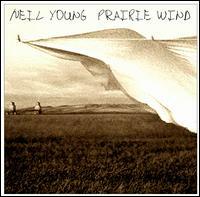 Neil Young made this record in Nashville in 2005, shortly before going to the hospital for surgery for a brain aneurysm. Combined with the recent illness and death of his father, mortality had to be on his mind, and the lyrics show it. In a concert film Jonathan Demme made of Neil’s live premiere of the material from this album, Neil talks about his father’s dementia. He remarks that the loss of memory left his dad in the moment, since he’d lost everything else. As an example, he cites the time his dad turned to Neil and simply said “cop” when a police car rolled up behind them. I remember hearing on the indie rock grapevine that Sonic Youth said Neil himself was “really far gone” after they toured with him in the early 1990’s – a tour I caught at the Dunkin’ Donuts Center in Providence. (The guy standing next to me kept asking his buddy, “is that a dude or a girl?” while pointing to Kim Gordon.) So perhaps Neil could relate to what his dad was going through. Each verse surveys situations in life that are different in some respects – bad dreams, scary news stories, railroad cars, old men on the sidewalk, young boys fishing, rivers flowing. They are all connected together by the common impermanence the chorus notices in all of them. I didn’t get the impression that the fading of these dharmas left Neil with a feeling of loss, but rather of connection. The verses are all in the present tense about things that are happening now, rather than dwelling on the past. The fading happens in the same place, the mind of the moment – they’re all memories, impressions without substantial reality, “without anywhere to stay.” The string parts make me think of the beating of a bird’s wings, making each departure sound like a graceful exit. There’s a luminous feeling about what remains, which from my Buddhist perspective has to do with the innate nature of the mind itself before thinking. The song sees a continuity in life even as the singer contemplates the prospect of his departure from it. Depending on your views about rebirth, that continuity could even include Neil himself. 08 Apr	This entry was published on April 8, 2012 at 9:43 pm and is filed under Buddhism, Music, Record Reviews, Series of posts, Top 40 Over 40. Bookmark the permalink. Follow any comments here with the RSS feed for this post.